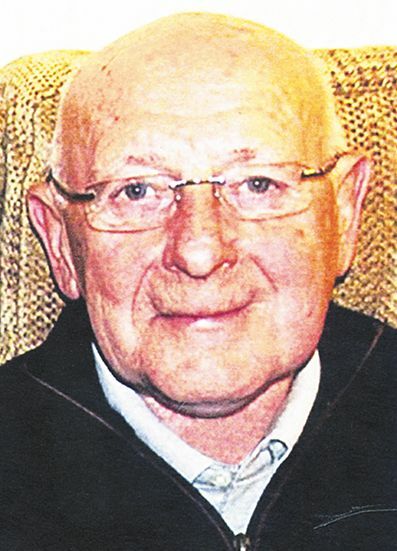 MR Brian McConvey, of Knockchree Road, Downpatrick, who has died aged 75, was a man who contributed greatly to the Downpatrick community and will be much missed. Mr McConvey, who passed away peacefully at his home on March 15, was a retired nursing officer who spent most of his career at Downshire Hospital where he was admired and respected by patients and colleagues for his compassion and professionalism. Thoughtful, considerate and inoffensive, Mr McConvey offered sound advice and common sense when called upon — just the qualities required for someone who was often asked to act as a figure head. The second youngest of five children, Mr McConvey was a Downpatrick man to his core. He carried out his nursing training at Downshire Hospital and Belfast City Hospital before returning to the Downshire. Sport played a big part in his life. In his younger days he played gaelic football for the Russell Gaelic Union and soccer for Downpatrick FC and the Downshire Hospital. He also played snooker and billiards for the Downshire in the Downpatrick and District League in the 1960s. However, his greatest sporting passion was golf which he played to a high standard. With his keen competitive nature, he was a formidable opponent, but always a generous sportsman. He loved Downpatrick Golf Club — later to become St Patrick’s Golf Club — and was a tireless worker behind the scenes. He was greatly honoured to be appointed captain of the club in 1984 and again in 2009, as well as being president for the period 1998-2000. Mr McConvey was devoted to his wife, Olive, their children and later their grandchildren and great grandchildren. He took great delight in their achievements and treasured the many occasions when he had his family around him. The respect in which he was held by so many people was shown in the large attendance at his funeral service in St Patrick’s Church on March 19, which was followed by interment at Struell Cemetery. The sympathy of the community is extended to his wife, Olive, son Ciaran, daughters Clare and Deirdre, eight grandchildren, eight great grandchildren and the family circle.